Holy crap. Wine shortage looms. Drink it while you can. Attention wine lovers: savor every last sip, as researchers say there may be a global shortage looming. Wine prices could shoot up because of a fall in production and growing thirst for wine among Chinese and Americans, Morgan Stanley research said in a report Wednesday. World production peaked in 2004, with an excess of 600 million cases. But since then supply has fallen because of lower production capacity, slipping in 2012 to the lowest level in 40 years, the US bank said. Production capacity has dropped particularly in Europe, where today it is 10 percent lower than in 2005, especially in France, the world’s top producer, followed by Italy and Spain. Plus, last year the weather was bad for wine makers. At the same time, world demand is growing as newly affluent people in Russia, China and other emerging countries develop a taste for Bordeaux, Rioja and other wines. The bottom line is that last year demand outstripped supply by 300 million cases, the study said. 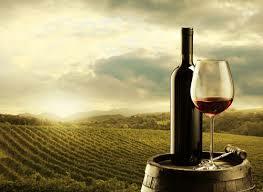 And things will get worse as demand for exported wine will grow over the medium term.